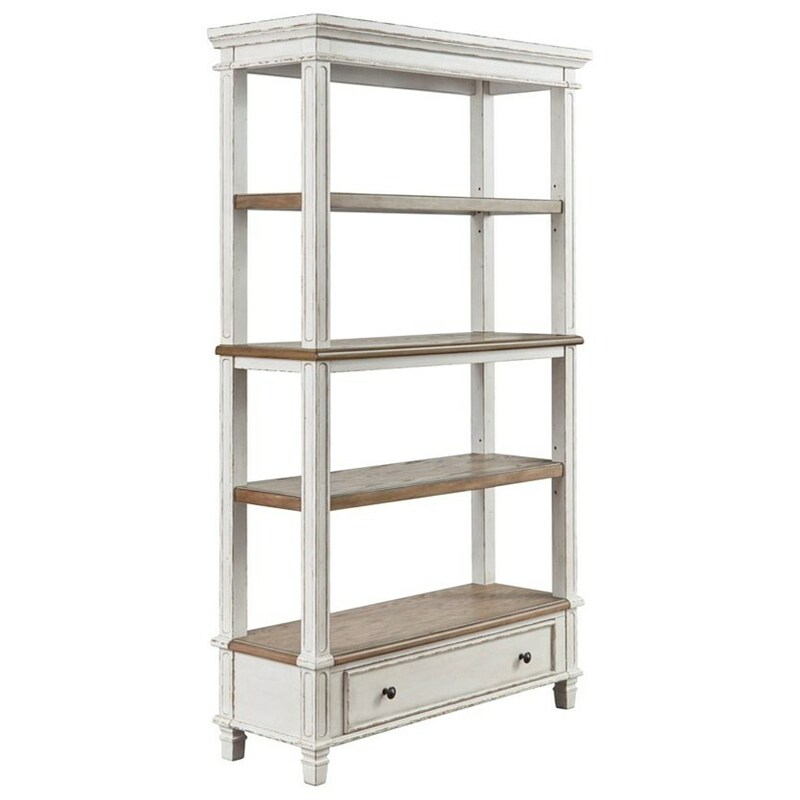 This two-tone open bookcase blends traditional and cottage design elements, making it a charming addition to any space. The four shelves and bottom drawer offer ample storage, helping to keep your room clean and organized. The Realyn Open Shelf Bookcase with Drawer by Signature Design by Ashley at Lindy's Furniture Company in the Hickory, Connelly Springs, Morganton, Lenoir area. Product availability may vary. Contact us for the most current availability on this product. The Realyn collection is a great option if you are looking for Traditional Cottage furniture in the Hickory, Connelly Springs, Morganton, Lenoir area. Browse other items in the Realyn collection from Lindy's Furniture Company in the Hickory, Connelly Springs, Morganton, Lenoir area.